Luckily, Federation had a support program for students like him. With the help of an in-class peer shadow and a teacher coordinator, Max thrived in Hebrew school and celebrated a “transformative” bar mitzvah. Jewish communities across the country are addressing issues of inclusion and access. Studies have shown that people with disabilities, estimated as one person in every six, are dramatically underrepresented among those engaged in Jewish life. Jewish Federation aims to reverse that trend. As a collective, Jewish Federations advocate for legislation that protects and enhances life for people with disabilities. And across North America, Federation-supported programs are creating a more inclusive environment for people with disabilities and their families within the Jewish community, with a focus on children with special needs. Such initiatives also benefit novice and veteran educators who work with typical children and those with special needs, often in the same classroom. As college student Lexie Sittsamer recalls, “In sixth grade I was in school with a boy with autism and I became one of his student helpers. I knew then that was what I wanted to do.” With the help of a Federation-funded future educator training program for teenagers, she worked her way from peer shadow to full-classroom helper. 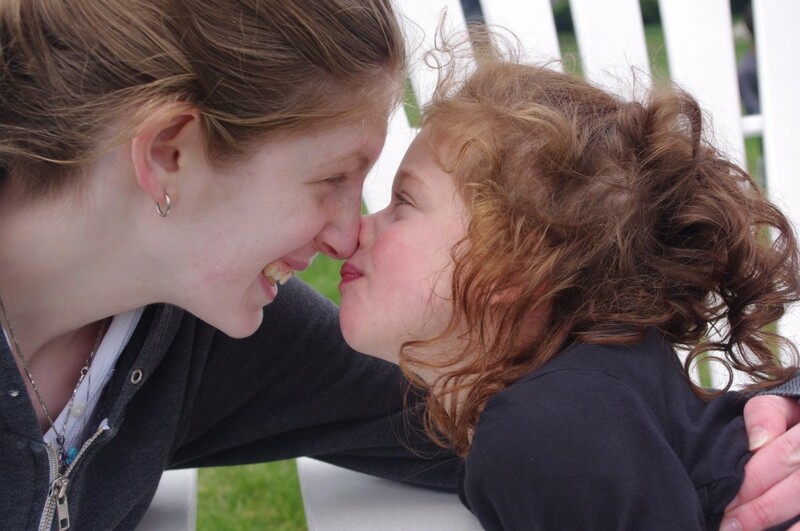 Federation sponsors Lexie’s recurrent summer job as a one-on-one para-educator at a synagogue camp, helping kids with special needs like Allie. “I make it so Allie’s able to be included. This was the first time she was ever invited to a birthday party,” she shares, smiling. Now a Special Education major, Lexie is applying what she’s learned to her coursework and in her very own Hebrew school classroom. We thank the Jewish Federation of Metropolitan Detroit for sharing this inspiring story with us.